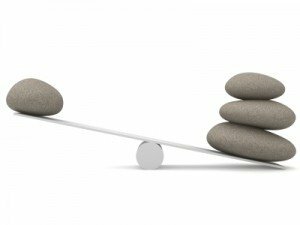 Work Life Balance | Should It Be Legislated? Should corporate culture work-life balance be legislated? Where should the responsibility of work-life initiatives lie? Should the government be weighing in with legislation, companies be ponying up resources or should we be our own work-life gurus? Corporate cultures that have cultivated programs in which work-life balance is alive and well do reap financial rewards. Think SAS software as an example. Best Buy famously has employees set their own schedules – a retail organization? Really? First, what is the “collective” responsibility for the individual well-being of a family? This is an argument that will never be won as long as we have a capitalist economy and people who can freely speak. Personally, I believe freedom creates a higher level of personal responsibility, and in that light all of us – women and men – must make hard choices and trade-offs – that’s the beauty of a truly free society. Women OR men who choose to attend soccer games, leave work to take kids to doctor appointments, or keep to the 40 hour week to be home for dinner (and don’t take work home) will be naturally by-passed for promotion in comparison to those who are putting in 70 hours. Seems fair – ROI for individual effort should be rewarded. The leader faced with the hard choice to promote the Gen Y single gal working 70 hours every week v. the family-guy working 40 hours – when both are ambitious, insightful, and deserving in different ways? Not a call I’d want to make … but it’s the wrong place to put attention. The right place is to put attention on cultivating more clarity of priorities so workloads don’t require 70 hours to get done. Further, the corporate world is not simply about the choice between family and work, but also the choice about whether you can stomach the ruthless games and sacrifices the corporation makes – including the lack of cultural value we place on truly collaborative styles of managing that allow everyone to share the load via give-and-take approach to supporting everyone’s work and life. But the third issue is most central to the cause of improving business performance AND reclaiming people’s lives: True innovation of work-life balance will come from leaders who see organizational culture as a driver behind business performance and as a critical element of their business, like air and water are to growth in nature. Culture is the unseen element of what makes a company great. To invest in it as you do new technology or capital improvements is an ROI you can see and count on. This means examining “work-life balance” beyond black-and-white, either/or policies – ie, and following through on the promise that people are what makes your business work. And people come with families and lives and they aren’t always convenient for the corporation. A person’s outside life is not an invisible nuisance but an integral part of “Who I am and what I bring to your company.” Remember the guy who worked nights and weekends for your product launch? Are you willing to delay a deadline so he can stay home with his newborn a couple of weeks (and not make his wife schedule a c-section to fit birth into the project deadline)? Life stages and phases are always in play for people, whether it’s attending grandma’s 90th birthday or staying home to breast-feed a newborn. Supporting employee’s whole lives – regardless of age or gender – is more than lip service. It means giving real teeth to policies that honor fluidity of a give-and-take balance. And that effort will always improve the overall financial position of the organization, because balanced people are happier, and happier employees work harder at work. The good news is the younger generations will not only demand work-life balance innovation in the workplace – they will create it. They were raised by baby-boomer parents who gave up everything for “the almighty job” – to be rewarded with no job security and continuous layoffs. The “internet generation” believes they have a voice in everything – and will raise that voice to stand for what’s right. In the meantime, I think raising our collective voices and spotlighting this subject is crucial. We are a stressed-out burned out society, and part of the reason is we’re all work and no play … making us perhaps richer in our bank accounts but perhaps poorer in what really counts – health and well-being.